North Korea has dispatched top officials to the United States and Singapore, media reported on Tuesday, the latest indication that the on-again-off-again summit with U.S. President Donald Trump may go ahead. North Korea's Kim Yong Chol, vice chairman of the ruling Workers' Party's Central Committee, was scheduled to fly to the United States on Wednesday after speaking to Chinese officials in Beijing, South Korea's Yonhap news agency said, citing an unnamed source. North Korean leader Kim Jong Un's de facto chief of staff, Kim Chang Son, meanwhile, flew to Singapore via Beijing on Monday night, Japanese public broadcaster NHK reported. At the same time, a "pre-advance" team was travelling to Singapore to meet with North Koreans, the White House said. U.S. government officials, including the White House deputy chief of staff for operations Joe Hagin, left U.S. Yokota Air Base in Japan for Singapore on Monday, NHK said. Choe Kang Il, a North Korean foreign ministry official involved with North America issues, was also spotted at Beijing Capital International Airport, according to Yonhap. It did not say whether Choe would be accompanying Kim Yong Chol. If his trip is confirmed, Kim Yong Chol would be the most senior North Korean official to meet with top officials in the United States since Jo Myong Rok, a marshal, met with then-President Bill Clinton at the White House in 2000. 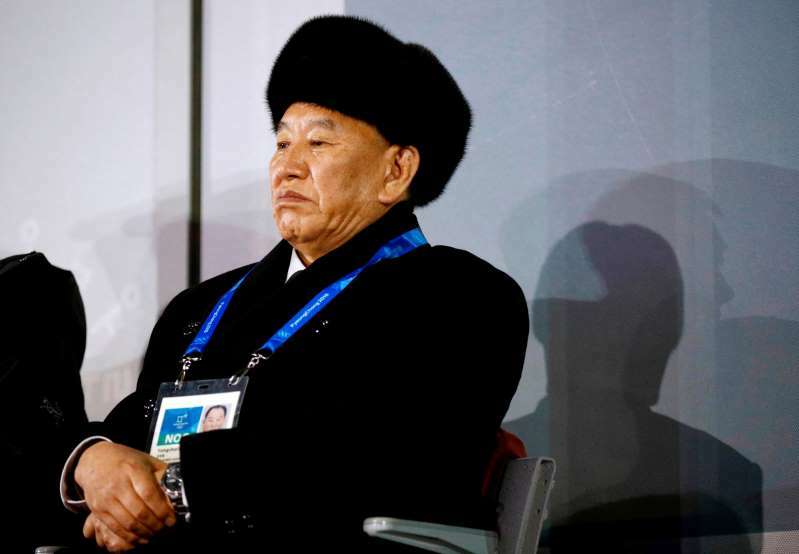 A former military spy chief, Kim Yong Chol has been a central player in the recent thaw in relations between North Korea and South Korea, as well as the United States. Kim joined Kim Jong Un in both of his two meetings with South Korean President Moon Jae-in in April and May, and hosted U.S. Secretary of State Mike Pompeo when his visited Pyongyang most recently early this month. The United States and South Korea blacklisted Kim Yong Chol for supporting the North's nuclear and missile programmes in 2010 and 2016, respectively. Due to sanctions against him, Kim Yong Chol is banned from visiting the United States normally. Any visit to the United States would indicate a waiver was granted. During his tenure as a senior intelligence official, Kim was accused by South Korea of masterminding deadly attacks on a South Korean navy ship and an island in 2010, and was linked by U.S intelligence to a cyberattack on Sony Pictures in 2014. North Korea denied any involvement in the attack on the ship and on Sony Pictures. In a flurry of diplomacy over the weekend, Kim Jong Un and South Korea's Moon held a surprise meeting on Saturday at the border village of Panmunjom, during which they agreed the North Korea-U.S. summit must be held. North Korea defends its nuclear and missile programmes as a deterrent against perceived aggression by the United States, which keeps 28,500 troops in South Korea, a legacy of the 1950-53 Korean War, which ended in a truce, not a peace treaty.